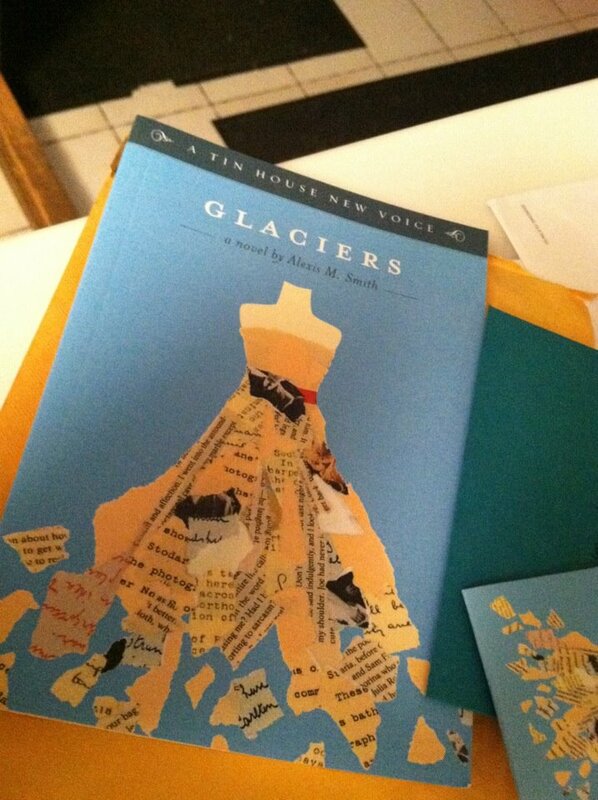 Alexis Smith is the author of the alluring new book, Glaciers, published in January by Tin House New Voice. I wish I could give you details and quotes that would make you rush from your computer to the bookstore or cause you to abruptly click away from this page to hit buy, but for the time being you’re going to have to trust me on this one. The upside of the possible theft will be that I will have yet another good reason to reread Glaciers. Until then, please trust me. You will love this book about Isabel and how she spends her days. Among other things, it will make you long to search for and write postcards. 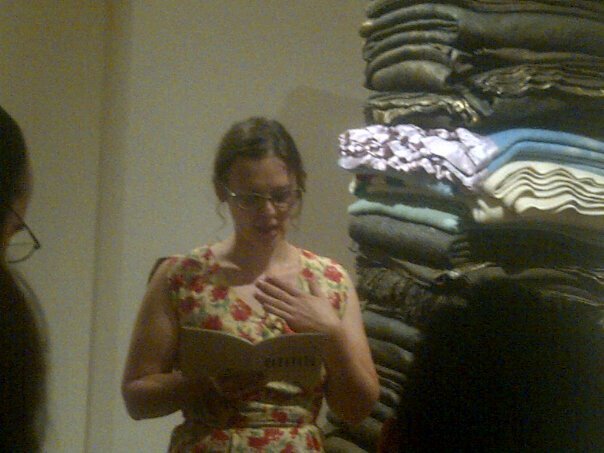 And I agree with Dianah at Powells: Alexis Smith’s diminutive novella lies somewhere between poetry and prose. So lyrical and so delicate, Glaciers slowly unspools as we follow Isabel on a routine day. Come back on April 1st to read how Alexis Smith spends her days. *The photo of Alexis by Megan Mayhew Bergman, of Glaciers by Monica Drake. I am so looking forward to this interview!!! As you know I am a big fan. I am hosting a Glaciers Reading Party at my house at the end of the month. Her publisher, Tin House offers a special “Book Club in a Box” deal that includes books, questions, a box of tea, and a visit with the author. Her interview at Catching Days will be the perfect follow-up on April 1st. Wish you could come, Cynthia! Sounds like fun, Jodi. Beam me up, please. What a great idea-I wish I could come too! Darrelyn, it’s so good, and it’s such a cute little book. Congratulations to Alexis! Tin House is wonderful. Enjoy your writing retreat! Thanks, Sarah. 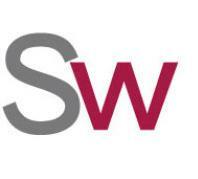 Looking forward to seeing what you’re up to at your blog.